The Mets are 10-3 and off to their best start since 2006. Attendance is soaring and reaching figures the franchise hasn’t seen since Citi Field’s inaugural season in 2009. 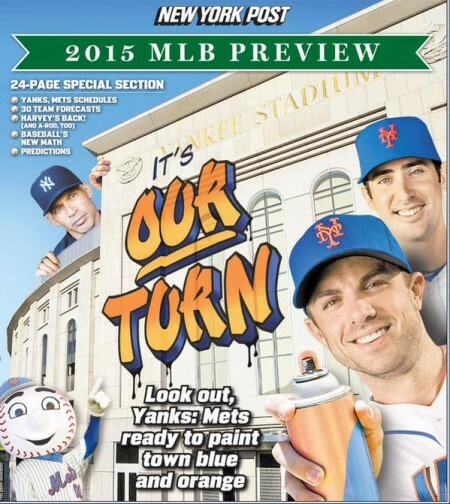 Take a look at the back cover of any local newspaper and the Mets will be featured on it. Listen to WFAN or ESPN radio (if you must) and odds are the Mets will be the topic of discussion for the majority of any given program. Matt Harvey has become the toast of the town. Simply put, the Mets are well on their way to taking the city back. By all means things appear to be going just as planned, if not better, for the Mets in 2015. Yet they have already overcome an immense amount of adversity just 13 games into the season. Zack Wheeler was diagnosed with a torn UCL in mid-March and has since undergone Tommy John surgery. He is expected back in 12-16 months. Vic Black underwent an MRI late in spring training that revealed a herniated disc in his right shoulder. There was hope Black would return as early as this week until another MRI revealed only little improvement. He will rest another week before being reevaluated once again. A reasonable return date is unknown at this point. Jenrry Mejia suffered stiffness in his right elbow on opening day and was placed on the 15-day disabled list following the game. But that wasn’t the worst of it. Just a week later he was suspended 80-games for PED use. Changes in the CBA ban Mejia from pitching in the postseason, should the Mets qualify. David Wright was placed on the 15-day disabled list on April 15th with strained hamstring. Wright has begun some rehab activities and Sandy Alderson expects the captain back when he is eligible to return on April 30. I hate to be negative about this positive news but hamstring issues are notoriously nagging injuries. Travis d’Arnaud fractured his right pinkie finger and will be in a splint for three weeks. Rehab time still has to be taken into consideration on top of that. A realistic timetable for his return might be the end of May. Jeremy Blevins fractured his forearm after being hit by a line drive and will remain in a splint for six weeks. He will then be reevaluated at that time and resume throwing when healed. When you think about what those players mean to this roster you’re talking about a front line starter, three prominent arms in the bullpen (closer, setup man and lefty specialist), an emerging catcher and the linchpin of this offense who is also the team captain. The motto so far seems to be next man up. Nobody feels bad for you in professional sports. There is no pity for you when a player goes down. For opposing teams it can be seen as an opportunity to take advantage of your vulnerability. 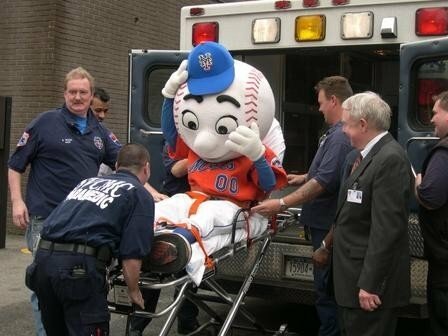 But as of now the Mets have been able to not only “hang in there” but succeed even with those gleaming voids. Looking at that list reminds me of the 2009 season when it felt as if the entire roster suffered from injury at some point throughout that year. The difference in this team has been their resilience. Sure the Mets have gotten off to other strong starts in recent seasons – but this one feels different. It’s hard to explain. Similar to how you try to quantify how some people have that “it” factor. I can’t quite put words on it but I have a sense this team will be able to keep it together. I won’t go as far as to crown them World Series Champions, yet alone NL East Champions, just yet – but I do believe this team is well on its way to playing a meaningful 2015 season in its entirety.